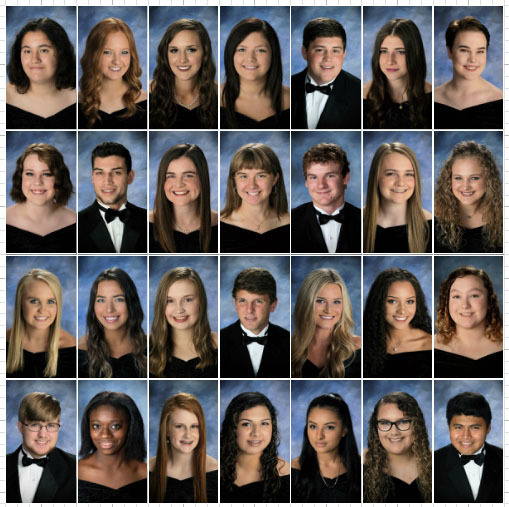 Bald Knob High School announced its 2019 Honor Graduates on Tuesday, April 2. To be considered for the recognition, students must maintain a GPA of 3.5 (with honors), 3.76 (with high honors), or 3.86 (with highest honors). Students must also pass at least two pre-AP courses sometime during their 9th or 10th grades, pass at least four Pre-AP/AP courses sometime during their 11th and 12th grades, pass two semesters of senior English, pass Spanish I and II, and pass a business education course.